One of John Kerry’s most experienced advisors has had to step back from his job as deputy chief of staff, but is staying on for now at the State Department, officials tell the Back Channel. William Danvers, former Senate Foreign Relations Committee staff director and a former Clinton and Obama administration national security official, had some medical concerns, but is apparently cleared to ease back into work. His role appears to have shifted however from deputy chief of staff to other assignments, officials said. Danvers declined to comment. The top US diplomat on Syria Robert Ford plans to step down this summer, several US officials tell the Back Channel. Ford, who was confirmed as US Ambassador to Syria in 2011 after serving there since 2010 under a recess appointment, saw his job transformed by the unrest that has long since escalated into a full scale civil war. Earlier this month Ford traveled into Syria from Turkey with a convoy of US food aid, to meet with Syrian rebel commanders and urge them to support transition talks planned to be held in Geneva next month. Ford was again in Turkey Wednesday trying, along with his French, Arab and Turkish diplomatic colleagues, to push Syria’s opposition to agree to expand and diversify its leadership ranks. He is said by multiple officials to be exhausted, including from his efforts trying to unify the fractious Syrian opposition. The Back Channel was unable to reach Ford Wednesday. Ford is expected to stay on for the Syria peace conference in Geneva next month, and possibly step aside in July. (One source thought Ford might next take a job at the State Department Inspector General office, but that couldn’t be confirmed.) It is still unclear who will succeed him in the Syria job, or if the role might be revamped to create a special US envoy to the Syrian opposition, State Department sources said. Under Secretary of State Wendy Sherman and acting Assistant Secretary of State for Near Eastern Affairs Beth Jones will travel to Geneva next week to meet Russian counterparts to prepare for the Geneva 2 conference, State Department spokesperson Jen Psaki announced Wednesday. US Middle East peace envoy David Hale is expected to be nominated to be the next US ambassador to Lebanon, two sources tell the Back Channel. Hale, a former US Ambassador to Jordan and career foreign service officer, has served as the US special envoy on Middle East peace since the departure in 2011 of George Mitchell, for whom he served as deputy. Hale would succeed Maura Connelly, who has served in Beirut since 2010, and who is expected to spend a year as a fellow at a Washington think tank, sources speaking not for attribution told the Back Channel. We were unable to reach Hale Tuesday. The Back Channel reported in February that longtime John Kerry foreign policy advisor and former Senate Foreign Relations Committee chief of staff Frank Lowenstein had moved into Hale’s office and was working as a senior Middle East advisor to the new Secretary of State. The Hale nomination is one of several Near East bureau appointments expected to be announced as soon as this week, or more likely next week. The Back Channel previously reported that US Ambassador to Egypt Anne Patterson will be nominated to be Assistant Secretary of State for Near Eastern Affairs. Patterson returned to the United States late last week for two weeks of meetings and a few days of R&R, sources said. Patterson did not respond to a previous request for comment. President Obama has repeatedly declared that his policy is preventing Iran from producing a nuclear weapon. A new report by a former Obama Pentagon official, to be released Monday by the Center for New American Security, argues prevention should be the US policy, but that the United States needs to develop a containment strategy if prevention fails. Among the key points the report makes is that resort to force in the event diplomacy is deemed to fail could itself trigger Iran’s determination to produce a nuclear weapon—a decision that the US intelligence community this year assessed Iran’s leadership had not yet made. 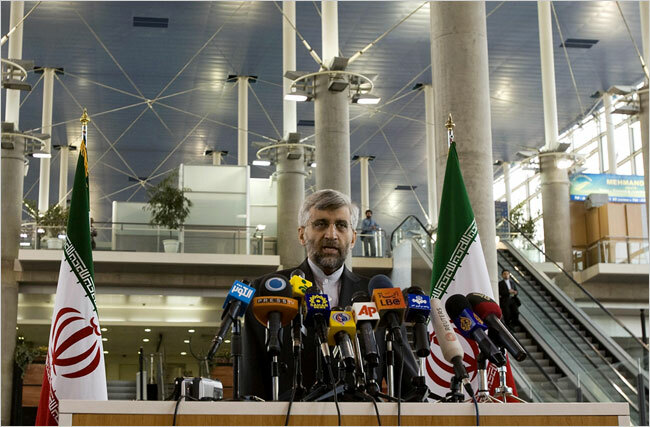 Iran might respond to an attack by leaving the Nuclear Non-Proliferation Treaty (NPT) and substantially decreasing cooperation with International Atomic Energy Agency (IAEA) inspectors. 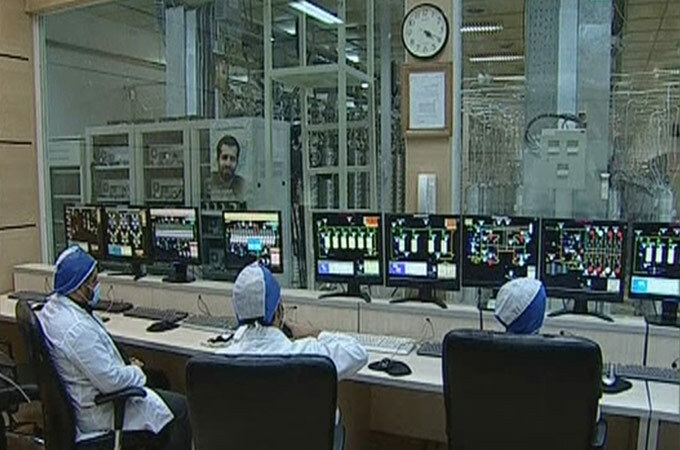 “Such a move would complicate the international community’s ability to detect Iran’s efforts to rebuild its program,” Kahl said. For these reasons, Kahl argues, force should only be used if other options for halting Iran’s nuclear weapons ambitions fail, if there is clear evidence that Iran is moving toward a bomb, and if every effort has been made to build international support for military action by seeking a diplomatic solution. Outlining a Plan B containment strategy in the event prevention fails is not without political risks, however, Kahl acknowledged, while emphasizing he is no longer a member of the Obama administration. (Kahl, who served as DASD for the Middle East from 2009 until 2011, is now a professor at Georgetown University and a senior fellow at CNAS. He co-authored the new report If All Else Fails: The Challenges of Containing a Nuclear Armed Iran, with Georgetown graduate student Raj Pattani and CNAS researcher Jacob Stokes.) But the strategic risks of failing to prepare contingency plans would be more dangerous, Kahl said.